Near the Ximenez-Fatio House Museum. 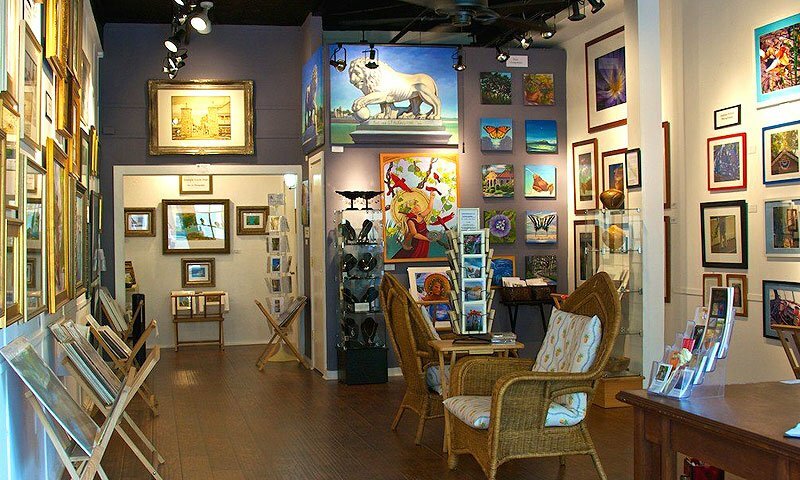 Aviles Gallery represents local, award-winning artists in St. Augustine. The variety of artistic expressions at Aviles Gallery consists of an array of styles and tastes. This gallery is located on Aviles Street, which is the oldest street in the oldest city in the nation. Enjoy a stroll down this quaint street and browse Aviles Gallery. Beautiful landscape paintings, scenes of St. Augustine come to life, and handmade jewelry are available to purchase. This quaint art gallery in historic downtown offers a great chance for you to immerse yourself into the local art culture, and bring home a piece of it. Aviles Gallery is located on Aviles near the Ximenez-Fatio House Museum. Be the first to Review Aviles Gallery!